Not only is San Diego, California one of the most beautiful places in the United States, but it also competes with any city in the entire world. Known for its constant sunshine, pristine coastlines and electric nightlife, the city offers no shortage of things to see and places to be. To narrow it down a bit, we've compiled a list of the top 10 attractions in San Diego – places you must go when planning a San Diego vacation. Okay, this was a no-brainer, but no trip to San Diego is complete without spending a day at one of its many picturesque beaches. While there are many immaculate beaches to enjoy, the must see stretches of beach are Moonlight Beach in Encinitas, Shell Beach in La Jolla, Coronado Silver Strand and the beach at 15th Street in Del Mar. 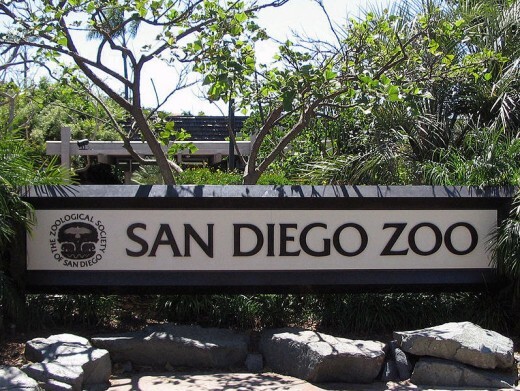 Another obvious destination for San Diego visitors is the world-class San Diego Zoo. Consistently ranked as one of the best Zoos in the world and visited by more than 5 million people every year, this top-of-the-line attraction stretches across 100 acres and features more than 4,000 animals in all. Once you've seen every land dwelling animal under the sun at the San Diego Zoo, all vacationers must slide over to SeaWorld to witness an equally impressive display of ocean creatures. Between the majesty of Shamu the Killer Wale, hand-feeding the dolphins and the comedy of the Sea Lions, anyone can stay entertained for an entire day and receive an education on aquatic life at the same time. 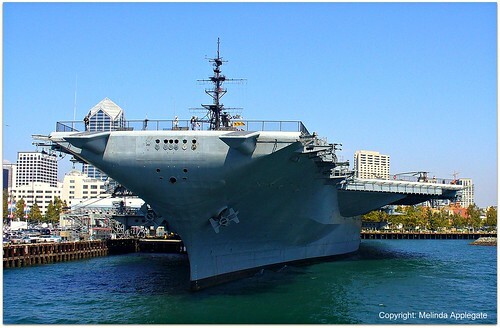 While breaking away from the sunny California beaches to visit an old ship might not be the obvious first choice of San Diego attractions, according to Trip Advisor, users rank the USS Midway Aircraft Carrier is the #1 attraction in all of San Diego – yes, even above the Zoo and Seaworld. In addition to it being an enormous, awe-inspiring piece of military equipment (972 feet), it's also ripe with history and hosts countless pieces of eye candy in its belly, including 25 vintage fighter planes. Technically located in Carlsbad, CA, Legoland is exactly what you would have guessed – a theme park dedicated to the ever-popular Lego building bricks. Although there are a few Legoland locations worldwide, the San Diego theme park is the first to be built outside of Europe and features a full water park complete with amazing waterslides and an amusement park with multiple rollercoaster rides – enough to entertain travelers of any breed. More of a peninsula than an island, Coronado Island is a thin strip of land between the San Diego Bay and the Pacific Ocean that offers a mellow departure from the more bustling parts of downtown San Diego. Additionally, the "island" boasts one of the best beaches in San Diego County, a quaint but active downtown area and an informative Coronado Walking Tour for the inquisitive super traveler. Lined with picturesque buildings, plush lawns, flowing fountains and more than 25 museums, Balboa Park was originally built for temporary use in 1915 but remained in tact, by popular demand. Considered America’s largest “urban cultural park,” Balboa Park is the home of the San Diego Zoo, carousels, theaters, shops, attractions and much, much more. Brought to you by the same organization as the Zoo but a totally different experience nonetheless is the San Diego Zoo Safari Park (located 32 miles apart). This attraction stretches across 1,800 acres and features all kinds of exotic animals from Asia and Africa that are on the endangered species list. This is an expansive facility that houses the animals in an environment that's strikingly similar to their native land. It's no theme park of waterslides and rollercoaster rides but it's an All-American attraction nonetheless. Voted The Best Burger by San Diego Magazine, Burger Lounge is known for doing "a common thing uncommonly well" and anyone who likes a good burger must stop in to see what the fuss is all about. Once you’ve spent the day walking around to all of San Diego’s most popular attractions, you’ll need a place to rest your throbbing feet and weary head. To kill two birds with one stone, the Hotel Circle is both an attraction and a solution. In all, Hotel Circle is a string of hotels in the heart of San Diego's Mission Valley where many of the city’s finest hotels are located and, as an added bonus, visitors who stay in the Hotel Circle Hotels have convenient access to many of these top SD attractions!